Ms. Marcia Wibisono had obtained her Bachelor of Laws (SH) from the University of Trisakti in 2001, and later earned her Master of Laws (MH) with specialization in Business Law from the University of Indonesia in 2003. 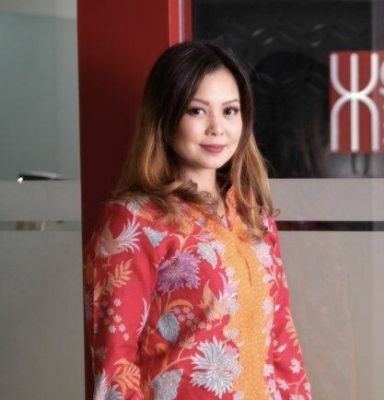 Driven by her keen interest for academic advancement, Ms. Wibisono pursued her study in Master of Laws program at the University of Melbourne's Law School and earned the LL.M degree in 2006. Due to her outstanding academic performance, Ms Wibisono was appointed as Research Assistant at the Asian Law Centre, the University of Melbourne. Ms. Wibisono has extensive experiences as a lawyer in Indonesia for over a decade, both in litigation and non-litigation cases. Her working experience comprises of working at one of the biggest litigation firms in Indonesia, and later at a prominent corporate law firm in Indonesia. Enhanced by her vast experience and solid academic background, Ms Wibisono has advised mining companies, plantation companies, oil companies, insurance companies, banks, etc. During her long career, Ms. Wibisono has been involved in many legal works, including part of advocacy team for the former Governor of East Timor and prominent persons in some high profile cases, engaged in numerous acquisitions of companies, joint ventures, secured lendings and other sophisticated transactions. Ms. Wibisono is admitted to the Indonesian Bar Association (PERADI) and fully-qualified to represent the client before the court with her Advocate License. She is fluent in Bahasa Indonesia and English.